Imagine not having to count your use of Oracle products or to be able to deploy as much as you like without paying a single penny more. This sounds too good to be true but with careful planning, this is what an Oracle Enterprise Agreement can do for you. Most users of Oracle products are used to the long-standing metrics such as Processor and Named User Plus as perpetual licenses, however it is worth considering if your deployment of products warrants an alternative mechanism. In this article, we will consider the standard Enterprise Technology Agreements available from Oracle. Oracle offer two main mechanisms for enterprise licensing for technology products. Generally, these are seen to apply to database, database options and middleware-type products but can also apply to more ‘obscure’ products in some cases. Unlimited License Agreement (ULA), including capped ULAs. These models differ to the standard license model (e.g. Processor perpetual) in that once you have products covered by one of these mechanisms, you can deploy more without additional cost until the unlimited deployment period ends. A ULA allows you to use an unlimited amount of a defined set of products, for a specific period (often 2-5 years). At the end of the specified period, you declare your amount of usage which becomes your perpetual license – you ultimately end up with the same type of license (a fixed quantity of Processor licenses) as you would if you had purchased ‘normal’ perpetual licenses. You pay an up-front license fee, there is no true-up at any point. Support is based on existing support and an incremental fee based on the upfront capex cost. You may use as much of the defined products as you like, without limit (it is possible to buy ‘capped’ ULAs which have an upper-limit to deployment). In the example below, you can see that the cost of the ULA is £3M, which has new support of £660k – this is then added to the existing support of £500k making a single and indivisible stream of support of £1.16M. Old licenses are converted and replaced by the unlimited deployment right. The on-going support stream of £1.16M is indivisible; there is no chance to reduce this in the future even if your usage reduces. There are a few things to consider if you are thinking about choosing an Oracle ULA. This is an interesting and key part of ULAs. Existing support for the products included in the ULA will be added to your new ULA support fee. Support and maintenance is linked to the initial ULA license fee and the first year is paid upfront. Support and maintenance, like ‘normal’ licenses, is opex paid annually. 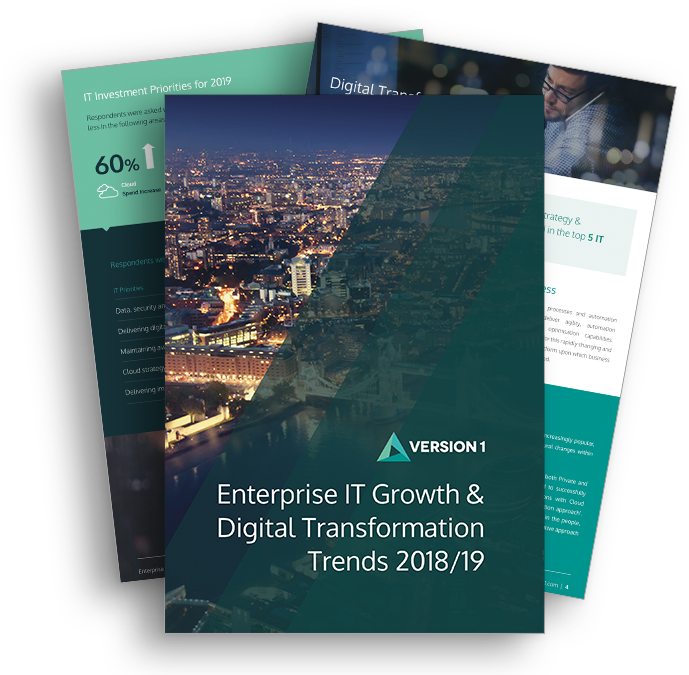 If your current Oracle Database Enterprise Edition support and maintenance cost is £200k per year, and your ULA (just for DB EE) costs £4m (support at 22%, giving £880k per year), your total new annual support will be £1.08m on-going. What happens to your old licenses? Any licenses for products on the ULA will be ‘converted and replaced’- i.e. you have no rights to use these after your ULA starts. This is not a problem: you have a ULA! Unlimited really means unlimited: you can use as many of the products on the list as you like. ULAs are for a defined set of products and getting the product list agreed at time of negotiation is very important. You need to ensure users only deploy ULA products and not additional products without relevant licenses. You can license a server using ULA and non-ULA licenses (e.g. Database as part of a ULA and Advanced Compression via non-ULA Processor licenses) – however, bear in mind that when certified, your unlimited deployment products will be licensed with Processor licenses. Likely cost of ‘normal’ incremental purchase. ‘Known’ versus ‘unknown’ license requirements. How much potential is there to fully utilise the ‘Unlimited’ component of the ULA? Is the strategy to deploy more onto / exploit these Oracle products?. What degree of certainty is there that planned projects will go ahead and make use of the products to the level forecast?. Is there any chance of under-utilising the ULA? This is a serious risk to you!. Discount levels for incremental purchases. How much is the ULA likely to cost? (A critical question!). What products need to be included in the ULA? How might your Oracle strategy change over the term? It may be hard to balance an unlimited approach for certain products whilst being restricted by traditional licensing counts for other products. Do not let the number of variables put you off here. Think about the potential value of a ULA and the flexibility and savings it could provide your business. Oracle ULAs are an excellent way to gain control of your Oracle licensing quickly and to provide your business with a clear strategy without worrying about additional licensing costs. Remember: you pay a ‘flat fee’ to use as much of the Oracle ULA products on the agreement as you like without any impact—no change to support costs, no additional capex. Buying a ULA is not a trivial task – it is a significant purchase which needs proficiency in understanding Oracle licensing. Firstly, you must communicate the ULA purchase internally, detailing what it allows to the appropriate software users, administrators and architects to do (anyone who can influence the amount of Oracle software your business will deploy). It is important that full details of what the terms of the ULA and the products involved are passed on in a concise and comprehendible way. You must distil the content and tell people what products are available for unlimited deployment, and for how long they will remain unlimited. There’s a real danger that the actual allowance and detail of the ULA gets lost between those who negotiated it and those who use and deploy the software (this is a problem outside of ULAs as well, but the potential risk when the belief that all Oracle software is available for unlimited use is bigger). Perhaps, contrary to expectations, owning a ULA means you must pay more attention to SAM and the amount of software you deploy and use. You need to know that you are following or exceeding your forecast – there is little point in having a ULA and not gaining the return you expected. There is a danger that you deploy far less of the software than forecast (e.g. change of product choice, cancellation of a project) and suddenly the original business case for the ULA is eroded and you may lose out. If you do not track your usage throughout the term of the ULA, you may find yourself frantically undertaking an Oracle audit of your own usage on the run up to the declaration date: doing so may mean you ‘miss’ installations (and hence they are not licensed) or you count incorrectly. Measuring for an Oracle ULA is not quite the same as for ‘normal’ Oracle licensing, for example consideration of how cloud deployments are licensed and how they should be declared (if at all). Policies such as those for VMware may actually work in your interest and so you should ensure you understand them fully. You should plan for at least a year in advance for your declaration; perhaps more. Once you have measured your deployment (which can be very difficult), you need to fill in a declaration form: this is what Oracle will use as the basis for your perpetual license. However, it is worth bearing in mind that there is a potential for audit or ‘informal review’ at this point, to allow Oracle to verify your usage. This is another reason to make sure you invest in this process and that you thoroughly understand your estate and the terms of the ULA. 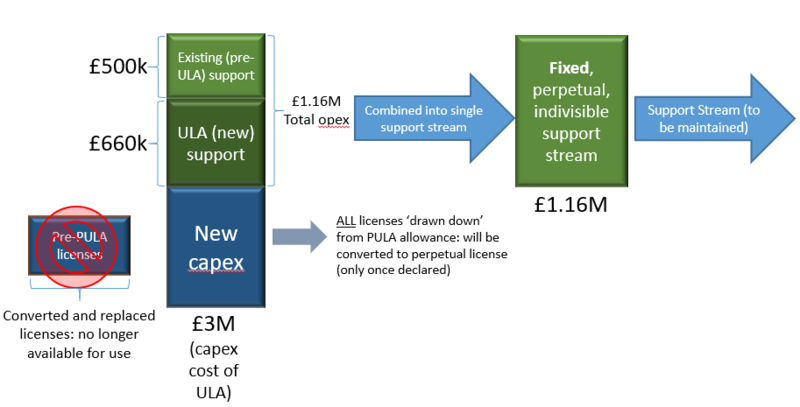 Oracle may try and pitch a new ULA (sometimes touted as a ULA renewal) – great care should be taken regarding this and you should consider if you want to further increment your overall support stream: inevitably, you will need to declare your ULA at some point or switch to a PULA. Planning for declaration is critical and care needs to be taken to ensure you are aware of the milestone dates set out in your contract. The below example shows a timeline for the last few months—as you can see, there are several key dates to be aware of. 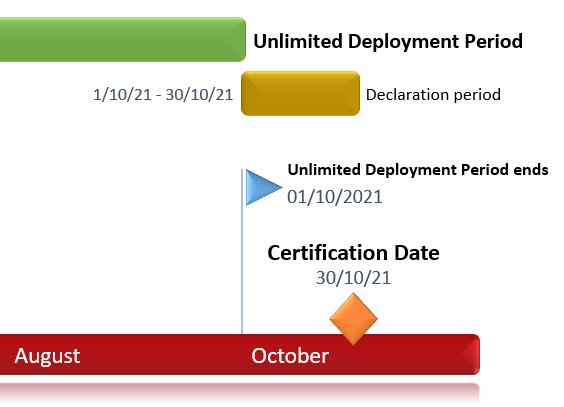 PULAs are a more modern offering from Oracle and allow (typically very large) enterprises the right to have an on-going period of unlimited usage without a defined certification date or date upon which the unlimited right is lost; they are largely the same with the mechanics of purchasing and the above description of ULAs applies apart from declaration. This of course allows a huge amount of value to be derived from the Oracle software. The downside to a PULA, besides an increased price is, once again the support streams are combined into a single indivisible support stream: if you ever have plans of reducing your Oracle deployment, a PULA (or indeed a ULA) probably isn’t the right thing for you. Additionally, you need to conscious of the fact that you may lose control of your deployment and measurement of product – although this may not be an immediate concern to you, there will be products not covered by the PULA which need careful management to ensure continued compliance. PULAs/ULAs are a very powerful and beneficial (usually) way of licensing Oracle. They are significant purchases that require assessment and planning. You may use as much of the software as you like during the period of the ULA or perpetually for a PULA. There is no true up, the opex and capex are set from the start. You will not be able to reduce your support easily at any point in the future. Education and ‘awareness raising’ about your ULA/PULA is key to it being used correctly. On-going usage tracking and management are even more important with a ULA/PULA. ULAs and PULAs are a significant investment and should be negotiated, benchmarked, managed and declared with expert advice. Negotiating terms and conditions is critical to ensuring you get the best deal for your enterprise. There is a large amount of flexibility in what you can agree with Oracle regarding enterprise agreements. Our independent and experienced Oracle and Microsoft licensing consultants (covering all aspects of enterprise licensing) provide expertise to customers globally, ensuring customers get the best value from their assets. The scale of Version 1 means we also have technical consulting experts to provide a one-stop shop for moving to the Cloud. If you would like more information about Oracle Technology Enterprise Agreements, speak to our SAM & Licensing experts today.